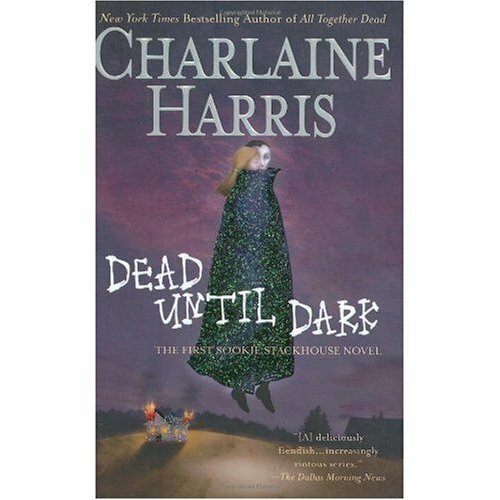 After watching the first episode of the HBO show True Blood I learned that the show was based on a series of books by Charlaine Harris called The Southern Vampire Mysteries. I decided to give the first book, Dead Until Dark, a try. I couldn't put it down. I all too quickly devoured the rest of the series and was left to wait for the next book to come out. It's been like that ever since. A new book comes out, I race to buy it and read it in a few days and then.... wait. The heroine, Sookie Stackhouse, is a telepathic waitress in a small Louisiana town. Vampires have recently 'come out' reveling their existence to the world with the invention of a synthetic blood, allowing them to survive without having to feed on humans...yummy. The books delve into the Vampires and 'Others' who come into Sookie's world. For me The Southern Vampire Mysteries are always fun, kooky, & crazy reads. They are a great break from the serious and insightful high literature you might be reading in your book club. Here's me all dressed up like Sookie Stackhouse for Halloween this year. *Be warned that these novels are not for everyone. Some conservative readers might find them too violent, disturbing, and upsetting. Now there, I warned you!